"String theory has no utility either." So it's not useful for studying strongly coupled QCD systems? It's not useful in condensed matter physics? It's not useful for studying scattering amplitudes in gauge theory and gravity? It's not useful for studying electric-magnetic duality or any other quantum field theoretic dualities? It doesn't have useful applications in pure mathematics like mirror symmetry, monstrous moonshine, and Khovanov homology? "It does not explain any observable phenomena"
So it doesn't explain the low viscosity of the quark-gluon plasma? "or resolve any theoretical puzzles"
So it doesn't provide an attractive solution to the black hole information paradox? It doesn't provide a concrete realization of the holographic principle and a paradigm for doing microscopic calculations of black hole entropy? 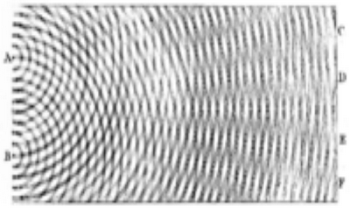 So it doesn't simplifiy the computation of scattering amplitudes in gauge theory? "or have any rational justification." It is statements like yours that do not have any rational justification. You seem to know nothing about the theory that theory that you criticize, and you fail to recognize any of its successes. String theory is not some sort of religious dogma as you and Peter Woit would have everyone believe. There are good reasons why people study string theory. String theory has inspired some interesting math, but the physics has been a big failure. As far as I know, there is no published paper that refutes what Peter Woit says about string theory. If have a reference to one, then please post it. "String theory has inspired some interesting math, but the physics has been a big failure." "As far as I know, there is no published paper that refutes what Peter Woit says about string theory. If have a reference to one, then please post it." Well, I'm not sure what you're referring to when you talk about "what Peter Woit says" in his book. I could certainly find a paper that argues against something that he wrote, but it's rather hard to respond to "what Peter Woit says" without having a specific claim to rebut. You brought up Woit, and denied what "Peter Woit would have everyone believe." Woit wrote a 2006 book that was a widely discussed criticism of string theory. It generated a lot of name-calling from string theorists like Motl, but the contents have not been refuted. 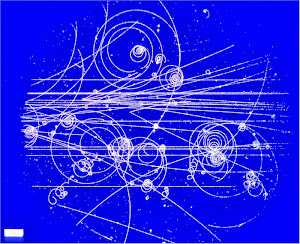 String theory posits that electrons are tiny strings in a 10 or 11 dimensional space with supersymmetry. The idea has fascinated a lot of smart people, but it has been a big dead-end. No Nobel prizes, for example. Peter Woit often claims that people are studying string theory because of some sort of dogmatism, and I disagree with him about that. I think the truth is that the most spectacular results of mathematical physics of the last forty years have all come from string theory, and there are very good reasons for continuing to study it. As far as I know, most of the historical material in Woit's book is correct. What I'm claiming is not that he got his facts all wrong, but that his conclusions about string theory are nonsensical. In order to claim that string theory has ruined physics, he defines the term "string theory" much more narrowly than most people working in the field. When Peter Woit talks about string theory, he's talking about the most speculative aspect of the subject -- the notion that elementary particles consist of tiny vibrating strings, and that this idea will unify physics and give a predictive and phenomenologically viable theory of everything. The problem with Woit's argument is that this definition of string theory does not reflect what most string theorists are actually doing. Most string theorists are doing much more formal, mathematical work, and this work has important applications regardless of whether string theory turns out to be a successful theory of everything. For example, string theorists have given us many important insights into the holographic nature of quantum gravity and the relationships between different quantum field theories. String theory has taught us a lot about the theories we already have, and it provides new computational techniques for making predictions with these theories. In addition, as you point out, string theory has some striking applications in pure mathematics. Because of all these applications, string theory has become established as a permanent part of the language of theoretical physics. It's not going away, and as this becomes obvious to everyone, the objections of people like Peter Woit are going to look more and more irrelevant. No, string theory has not been successful at any of those things. It does not describe any forces or particles. It is not a TOE or quantum gravity, or even a useful step towards those things. To the extent that it has made predictions like supersymmetry, it is contrary to experiment. For the most part, I agree with the Wikipedia definition of string theory. For example, I think the phrase "research framework" describes quite accurately what string theory is, and the purpose is certainly to reconcile quantum mechanics and gravity. I don't think anyone would deny that it is a "contender" for a theory of everything, and I agree with the physicists listed in the article that it is a "step towards" a correct fundamental description of nature. The problem is that some people think that string theory in its present form is supposed to be a phenomenologically realistic unified theory of physics, and that's where I disagree. If you look at the work that string theorists are doing (for example if you look at the list of talks at the annual Strings conferences), you will notice that most people are doing much more formal mathematical work. During the past fifteen years, pretty much everyone has been working on the idea of holography and the AdS/CFT correspondence. This is an extremely general principle of quantum gravity which is important regardless of whether the particles in nature are in fact made out of strings. So when you say that string theory has not been a successful theory of quantum gravity, I have to disagree with you. String theory has resulted in extremely important insights into the holographic nature of gravity, and the importance of these insights is basically undisputed, even by people like Peter Woit. His thesis is something rather technical and, in my opinion, not particularly interesting. When Peter Woit says that string theory has failed, he's referring to something that he calls "string theory unification" -- the idea that the elementary particles are all manifestations of the same basic object, a vibrating string. I agree with him that this string unification is a speculative idea, but I think it's silly to focus on that one technical point when string theory has so many other successes. "It does not describe any forces or particles."